Nothing compares to a homemade cotton dishcloth. I am using a pattern I received from a friend probably 30 years ago and I have no idea where it originated from. I have tried a few different patterns over the years, but I always go back to this one. That is, until I came across directions for a 2 ply cotton one. (mine uses 4 ply) I didn’t have any 2 ply yarn, so I had the brilliant idea to separate my 4 ply. 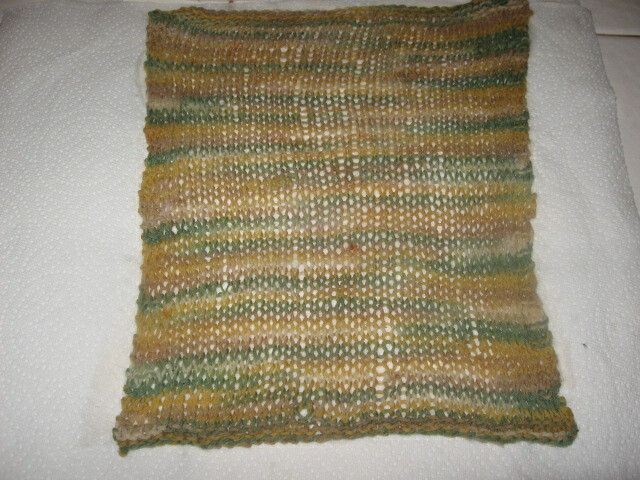 I had a partial skein and figured it would be enough to make one dishcloth. Well, 4 hours later and with the help of my son and husband, I got it separated. I don’t recommend this – it was a tangled, twisted challenge to say the least, but in an attempt to use what I had available, I made it work. 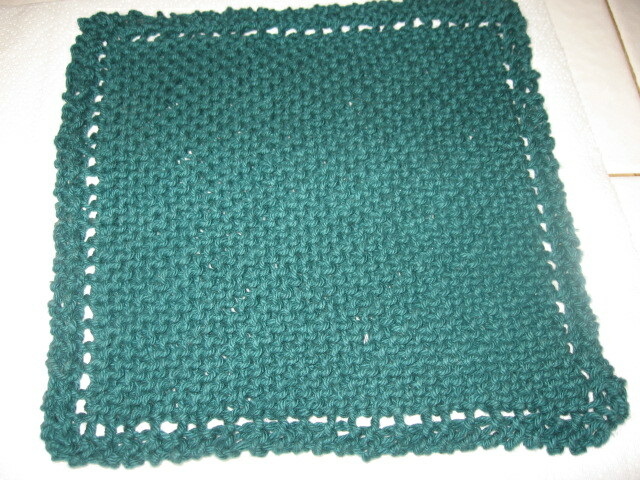 Once the yarn was separated, the actual knitting went very quickly and I like the weight of this dishcloth. It works equally well for wiping countertops or washing glasses. continue until 4 stitches remain. Knit 2 together, knit 2 together, bind off. Last 4 rows (58-61): Knit across. Bind off.